Australian travel giant Flight Centre has been accused of ripping off customers and underpaying staff, some of whom say working at the company was like being in a cult. 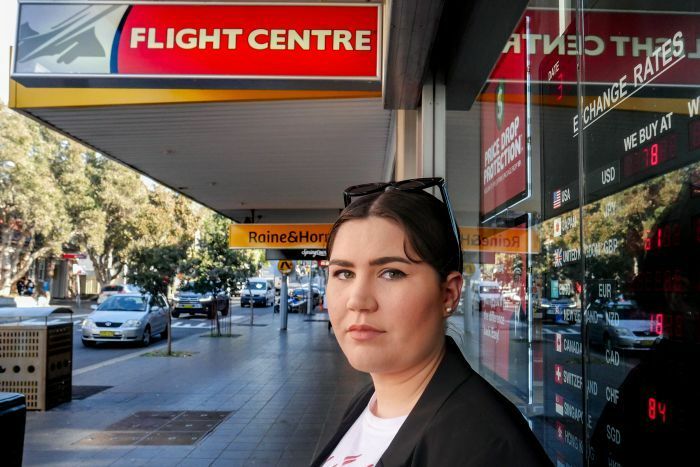 ABC Investigations has spoken to dozens of current and former staff who said Flight Centre encourages its travel consultants to gouge customers by adding hundreds, sometimes thousands, of dollars to bookings. “In training they are telling you that you can mark-up flights,” said Olivia Little, who worked as a travel consultant at a Flight Centre store on the New South Wales central coast in 2016. The practice is not illegal and Flight Centre denies it is widespread among its more than 10,000 Australian staff. But it’s not just Flight Centre’s dealings with its customers that has come under scrutiny. Past and present staff have told the ABC the $6.7 billion company is built on a “work hard, play hard” alcohol-fuelled culture that grinds staff down with miserable pay and excessive unpaid overtime hours. The Fair Work Ombudsman is now undertaking an investigation into how Flight Centre pays its staff, prompting the company to scramble to fix its pay deal amid a growing staff revolt. The process staff have described for marking up bookings is remarkably uncomplicated and ad-hoc. Staff detail a practice as simple as reserving a flight, then manually adding an extra amount to the booking in Flight Centre’s online system — ranging from as little as $30 to hundreds or even thousands of dollars — before revealing the total price to the customer. Ms Little marked-up flights during her 13 months working at Flight Centre and observed other team members doing the same on countless occasions. 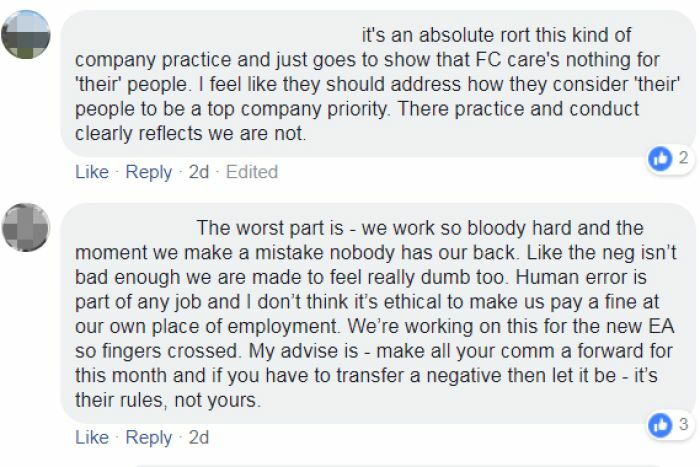 A current staff member, who worked at Flight Centre in Melbourne for over two years and requested not to be named, said for some workers, the practice was about seeing how much they could add-on and still get away with. “You kind of pick and choose who you do it to,” the woman told the ABC. Renee Olofsson, who worked at a NSW Flight Centre store, said customers are not made aware that the total cost of a booking is adjusted during the process of marking-up. “The thing that sat, I guess, uneasy with me was that you weren’t transparent with that actual cost,” Ms Olofsson said. Far from a clandestine practice conducted by a few rogue travel consultants the importance of adding extra fees to flights is drilled into staff from day one, according to Ms Olofsson. “It definitely wasn’t hinted at. It was, ‘this is how we operate. This is how you make money. This is part of your job’,” said Ms Olofsson, who worked at one of the company’s 689 Australian stores. Even though the scale of the mark-ups can vary booking to booking, the extra cost to the customer is justified internally as representing payment for the service provided. In a statement to the ABC, Flight Centre said like other retailers, it earns a margin on the products it sells, but said it does not engage in “excessive marking-up”. “A central team in Australia proactively monitors margins on individual transactions and action is taken if the margin earned is considered excessive. Action can and has included dismissal,” a Flight Centre spokesperson told the ABC. But one current Flight Centre staff member, who requested not to be named, said she feels like the process rips-off customers and there was a sense of guilt that came with marking-up. The motivation for staff to mark-up on bookings — and overcome any sense of guilt attached to the practice — seemingly comes as a result of Flight Centre’s low and confusing method of paying its staff. 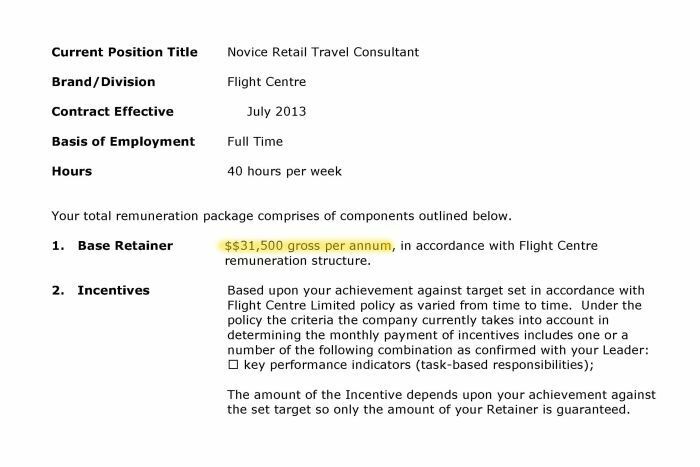 The current base wage for travel consultants in Flight Centre stores is $33,500 — almost $4,000 below Australia’s minimum wage. The rest of their salary is made up from commissions, which are accrued on the sale of airfares, hotels, travel insurance and holiday packages. But staff say the pay structure makes it almost impossible to earn a decent wage without resorting to marking-up. 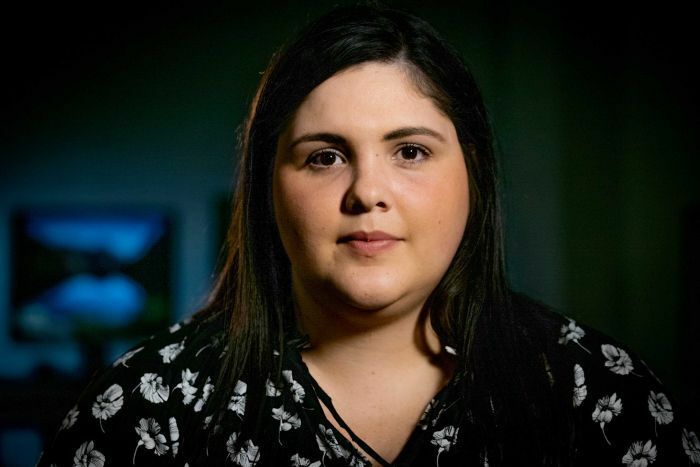 “Towards the end of the month, if you’re struggling to hit your target, you kind of have to pull the strings,” a current staff member told the ABC. If staff fail to make enough on commission over a month, Flight Centre tops up their pay to bring them in line with the minimum industry award wage. But the ABC understands those top-ups have in the past been “clawed-back” from employees over future pay cycles. Flight Centre said it stopped the practice of clawing-back staff pay two years ago. Employees are typically paid to be present at their stores between 9am and 5.30pm. Yet multiple former staff members have told the ABC they were required to be present for unpaid daily meetings at least half an hour prior to the store opening, were rarely able to take breaks and frequently worked long amounts of unpaid overtime. “I understand in most businesses there is reasonable additional hours, which it did say in my employment contract,” Ms Olofsson said. Flight Centre said the company’s fixed pay plus commission structure was both typical of the sales industry and served as a source of motivation for staff. “Commissions motivate our front-line staff to give the customer the best experience possible to ensure they become loyal, repeat customers,” a spokesperson told the ABC. The company subsequently admitted that around 30 per cent of staff do not meet the minimum wage mark on a month-to-month basis and require their pay to be topped-up. Staff said their take-home pay is also whittled away by Flight Centre’s policy of deducting the costs of mistakes made on bookings. Flight Centre conceded that “in some cases, consultants are required to rectify an issue from within their commission”. Flight Centre staff said they have at times been forced to bear the cost of the company’s widely-advertised “Lowest Airfares Guarantee” offer. “If someone comes into our store and they’ve found a cheaper price online or from a different travel agent — we have a guarantee [that] we have to beat it by a dollar. If they want to book with you at that price, you have to say ‘yes’,” a current staff member told the ABC. 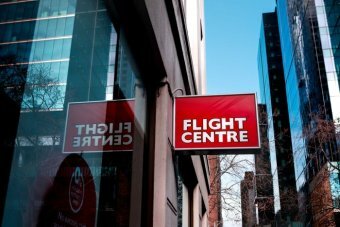 Flight Centre denied it docks price beats from staff commissions. It said “to honour a price beat, the company foots that bill — not the consultant”. Rather, it said it provides staff with a $500 allowance, against price beats. If that allowance is exhausted, a consultant “would simply not earn a commission on an additional price beat”. While numerous staff told the ABC they were confused about their pay structure, they believed at least a portion of the price beats is still “worn” by staff. In April this year, Flight Centre lost an expensive legal battle with the ACCC and was ordered to pay a $12.5 million penalty, for requesting international airlines not to list flight prices on their websites that were cheaper than those offered by Flight Centre. Against the headwinds of an increasingly online-dominated travel marketplace, Flight Centre continues to grow and maintain its sizeable bricks and mortar store presence, an employee-heavy model. The Flight Centre Travel Group now has operations in 23 countries, employing more than 19,000. So reads the opening line under the “Vibrant Culture” section of Flight Centre Travel Group’s careers page. For many, the party culture at Flight Centre represents something of a pay-off for the long hours and low pay. “The parties are insane — they are amazing,” one Flight Centre staff member told the ABC. There’s the all-but mandatory booze-soaked “buzz nights”. Held in pubs, restaurants and function spaces, the unpaid monthly events offer a chance to boast for those who have hit sales targets and are known to devolve into sexually-charged hard-drinking sessions. The nature of buzz nights varies depending on the store, but those who don’t attend are reportedly frowned upon and asked for a compelling reason for their absence. “You are required to go to these staff nights, but I dreaded them,” Ms Little said. “There’d be new starters who they’d introduce to the whole group. “In my area, when you were introduced, you either had to tell a joke, tell a funny story — which usually had to be quite dirty — or you had to flash. Not men, women. Flight Centre said it was not notified of any such alleged incident. Then there’s the annual Global Gathering. Used as a carrot for staff throughout the year, only high-performing sellers are eligible to apply for “Global”. Those picked are flown on chartered flights to an international location — Las Vegas and Hawaii have played host in previous years — for an extravagant event that falls somewhere between a conference and a weekend-long party. The 2018 Global Gathering was held last month in Berlin and included a private performance from Kylie Minogue. Chris Hemsworth was flown-in to give a motivational speech. Bill Clinton, Gwyneth Paltrow, Duran Duran and Mark Ronson are among those who’ve appeared in the past. Staff glowingly post videoed highlights from “Global” across social media and seek out selfies — called “skroofies” — with Flight Centre’s founder and CEO Graham ‘Skroo’ Turner. The work hard, play hard culture is seemingly instilled right across Flight Centre’s international stores. In July, Flight Centre’s Auckland headquarters came under fire in the New Zealand press for installing a mural of a scantily-clad woman. 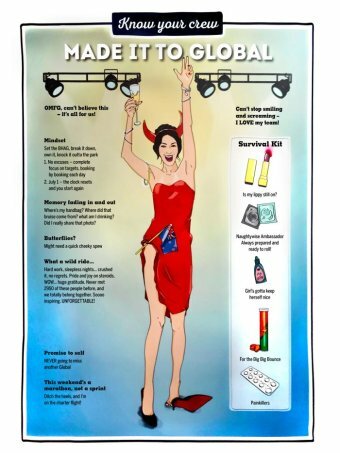 Under the headline “Made it to Global” the mural featured a picture of condoms with the caption “Naughtywise Ambassador — always prepared and ready to roll”. There’s one word that often crops up when ex-workers describe their experience at Flight Centre. “If you’re not in, you’re not in,” a former male staff member told the ABC. 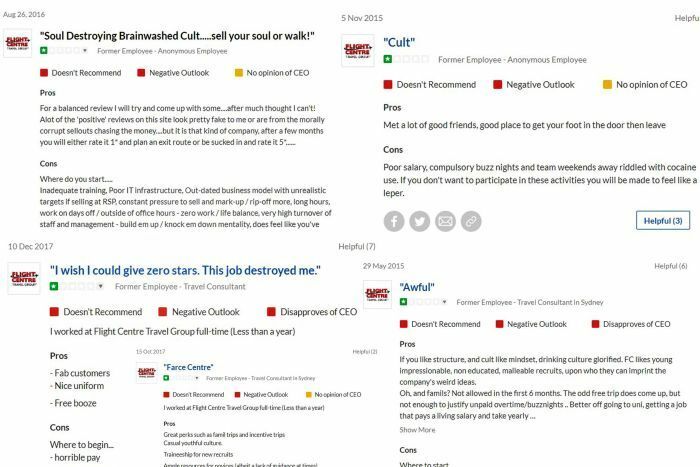 The words “cult” and “cult-like” are used in countless reviews by apparent former Flight Centre employees on the employment review website Glassdoor. 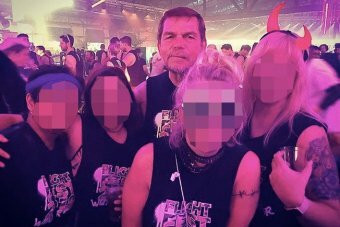 One former employee the ABC spoke to, who requested not to be named, said she and other staff would refer to the workplace as “the Flight Centre cult”. “It works for people who want work to be their life — who only want to be friends with people from Flight Centre and date people from Flight Centre,” she said. Flight Centre said it fostered a positive culture that recognises the achievement of staff. “We feel it is important to celebrate achievement and believe we have a reward and recognition culture, which is fairly common in sales-based organisations,” a spokesperson said. Flight Centre said staff criticisms of the company “don’t reflect the majority’s feelings”. That company culture and the way Flight Centre pays its staff has now attracted the attention of Fair Work. A spokesperson for Flight Centre confirmed the company is currently under investigation by the Fair Work Ombudsman. Flight Centre has now begun negotiations with staff over a new Enterprise Bargaining Agreement. 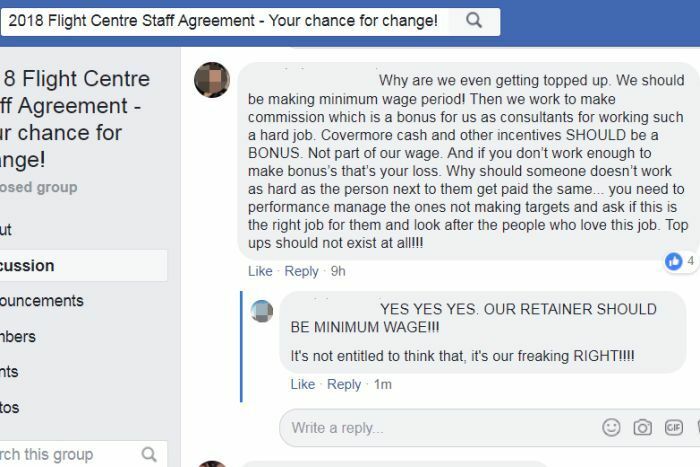 The ABC has viewed a closed Facebook group, designed for discussions around the EBA, where staff are increasingly venting their anger over both their current and proposed new working conditions. Wages, commissions, working conditions and the company’s price beat policy feature prominently in discussions. The ABC has obtained a copy of Flight Centre’s new pay offer to staff as part of the EBA negotiations. It shows the company wants to set a new base salary of between $41,000 and $44,000, depending on whether a consultant works in a store that opens on weekends. The offer reveals the company plans to offset the rise in base salary by lowering the percentage of commission offered to staff. Flight Centre said it was still in the early days of the EBA process but the company was hopeful it would strike a positive agreement. “At the moment, our people are having their say on what they feel are the key terms and conditions of employment that they would like to see included in the EBA. This is a normal part of the process and it’s progressing well. Watch more on our investigation into Flight Centre on ABC 7.30 tonight.